When I was a kid, I spent countless hours reading comic books. My days and nights were filled with the amazing adventures of Batman, Spider-Man, X-Men, Superman, Fantastic Four, Teen Titans, Black Panther, Daredevil, and Luke Cage. Back then, comic books weren’t the cultural juggernauts (I learned that work from X-Men) they are today. Now, it seems like everyone wants to be a comic book nerd. With blockbuster films such as “The Avengers,” “The Dark Knight,” “X-Men,” and “Iron Man” and hit TV shows such as “The Agents of S.H.I.E.L.D.”, “Arrow,” and “Smallville,” comic book culture has become mainstream. I attended the Comicpalooza Comic-Con in Houston, TX and I was amazed to see so many people from all walks of life cosplaying, getting autographs from their favorite writers and artists, attending educational sessions (such as “How to Get Your Mom to Read Comics), and sharing their love for comic books, fantasy, and science fiction. 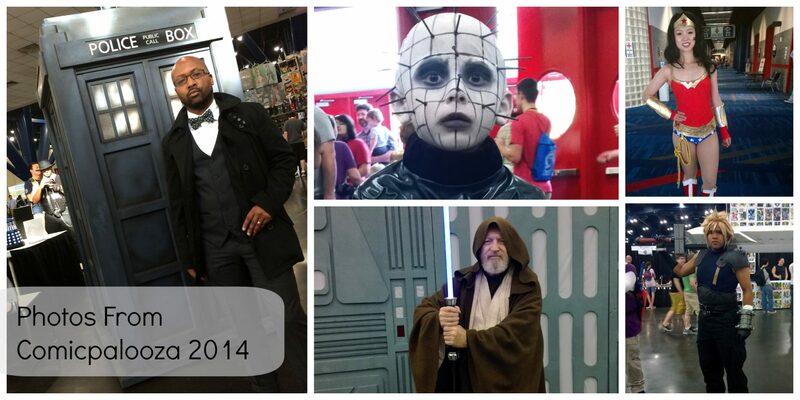 Here are a few of my favorite photos from the conference (I’m the guy dressed as Doctor Who and Punisher).